He alone knows what he has done with life. In the privacy of his own home, he looks in the mirror and sees himself. And from head to toe, things are not good. “Honesty in everything I do is the key. This is the Jewish way that G-d gave us. 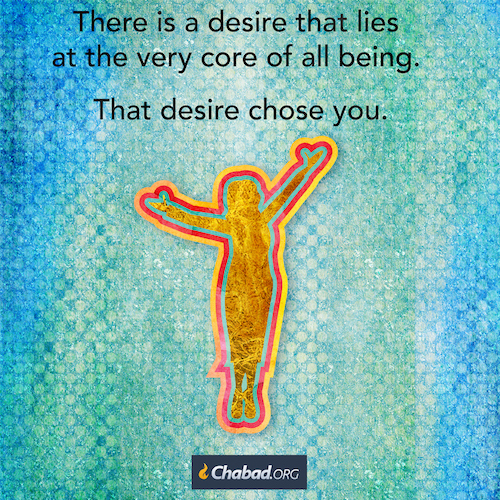 The is summed up this way in the Daily Wisdom of the Torah. “In the words of the great Talmudic sage Hillel, “What is hateful to you, do not do to your fellow – this is the entire Torah, and the rest is commentary. Go and study it!”1 Likutei Sichot, vol. 27, pp. 149–157. “Another form of prohibited behavior is possessing inaccurate weights and measures. Elsewhere in the Torah, we are only cautioned against taking money that is not ours. Here, however, we are commanded to not even possess false measures, even if we never use them. This is because when a merchant uses false measures, he is pretending to charge his customer correctly, but is really cheating him. This deception ultimately leads to overt theft, and worse. 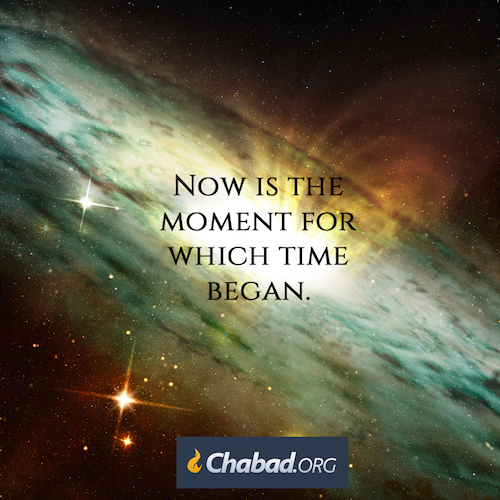 But G‑d does not age! For Him, there is no “already.” His wisdom is new each day. Each day you are new! Each morning you are born into life again. Don’t you eat again each day as though you have never eaten before? 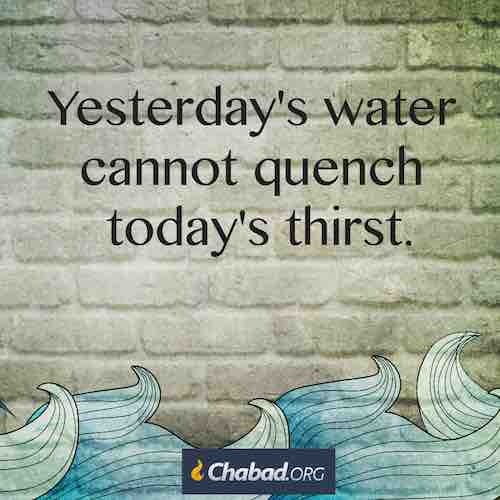 Don’t you thirst as though you have never before drunk water? Look at those who are healthy. See how they swallow down Torah as though they have never eaten before. Just start and do the same as them—and soon you too will be healthy, and feel your thirst for wisdom. Likutei Sichot vol. 19, pg. 295; Torat Menachem 5742 vol. 2, pg. 820. Maamar Tzion Bamishpat 5736. In truth, there is no need to change the world, for each thing has a place, and in that place it is good. All that’s needed is a little light. In the dark, there is no way to know what belongs in your closet and what belongs in the laundry, what is ready for use and what is in need of repair. Instead, that which could be washed and used for good is rejected and despised as hateful, and that which is clean and tidy is used for evil. 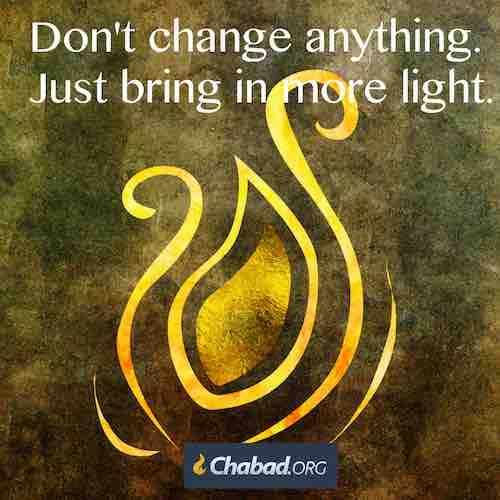 Torah is light; it tells us the place of each thing. Shine it bright and heal the world. Torat Menachem 5742 vol. 3, pg.1626; Ibid 5748 vol. 4, pg. 175. Pastor JD King’s sermon today Sunday September 24th is core of who we Jews are. Healing, Revival, and Salvation are who HaShem is. 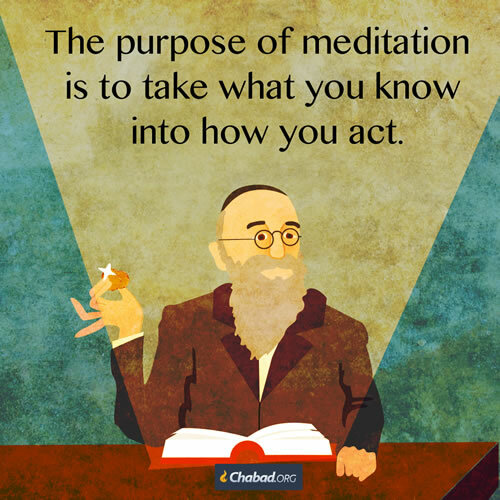 This is what G-d does. 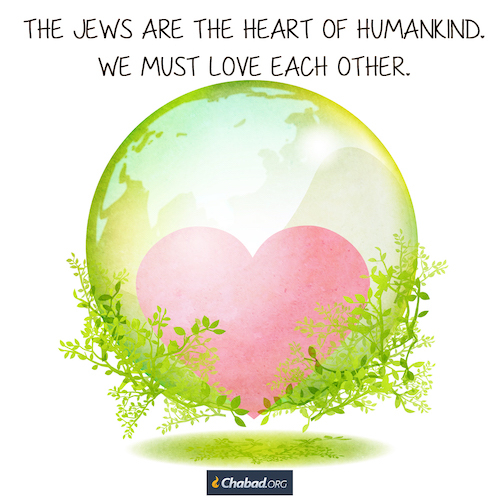 This is basic Chasidism 101. Pastor JD’s words hit me right between the eyes of who G-d is. HIS truth and HIS wisdom. These thoughts raced in my mind. I saw Moshe talking to G-d on Mount Sinai. I saw Moshe arguing with G-d for seven days after Moshe saw the burning bush. 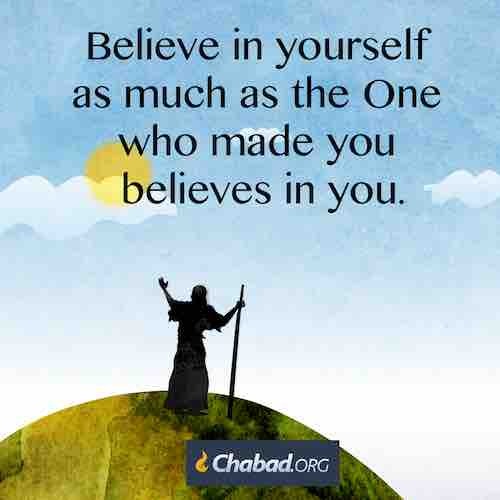 G-d transformed Moshe into the leader of us Jews. This was Moshe’s divine destination. I saw the destruction of both Temples. G-d took HIs wrath on the stones, wood and brick instead of us Jews. This was G-d’s gift to us. This goes back to the Golden Calf. Moshe broke the tablets and G-d was pleased. L-rd let me be a true reflection of who you are Yeshua. Murder the evil inclination that is in me. Root it out of me so that I can become a true man of G-d that will transform the word. “Heal us, and we will be healed, save us and we will be saved, for You are our praise. Send complete healing for all our ailments, for You are God, King, the faithful and compassionate Healer. Blessed are You, HaShem, Who heals the sick of His people Israel” (from the blessing for healing. Jeremiah 17:14. The greatest modern-day miracle is when G-d gave us our land back. Miracles, signs and wonders reside at World Revival Church. Thank you, Pastor Steve and Kathy Gray being true Tzaddiks so G-d can have HIS dwelling place at World Revival Church. I love my teachers Pastor Steve and Kathy Gray. Without forgiveness We (I) are doomed. Yeshua said to us Matthew 6:14” For if you forgive others their offenses, your heavenly Father will also forgive you; 15 but if you do not forgive others their offenses, your heavenly Father will not forgive yours.” Complete Jewish Bible. “Rabbi Pinchas stated: They asked ‘wisdom’ what is the punishment for an offender? She answered, “evil will pursue the sinner” (Mishlei 13:21). They asked ‘prophesy’ what is the punishment for an offender? She answered, “the soul that sins, it shall die” (Ezekiel 18:4). They asked The Holy One Blessed be He what is the punishment for an offender? He answered “let him repent and he will be forgiven.” Jerusalem Talmud, Makkos 2:6. L-rd let me forgive those who have done wrong to me. L-rd open up my eyes and let seek out those I have wronged to set the wrong right in your eyes Yeshua. Life and death is in the power of the tongue. See James 3:6-13. Speak life and we have life. Speak lies and deceit this what we have. L-rd clean out my mouth and let me become a mature person who speaks life not death. Make me clean and make me Kosher Yeshua. Clean me out and keep my mouth in check. “One of the prohibited forms of behavior is gossip. According to the Talmud, gossip “kills” three people: the speaker, the listener, and the object of the gossip. That the speaker and listener deserve to be punished is understandable, but why should the person about whom they are gossiping suffer? The answer is that speaking about another person’s shortcomings does more than just belittle him. Words have the power to bring latent energy into actuality. When we speak about a person’s negative traits, it activates them and reinforces them. As a result, his behavior takes a turn for the worse and he thus incurs punishment. Conversely, when we speak about the good traits of another person, we reveal and reinforce those traits. We can thus be a positive or negative influence on people; the choice is ours.